in New York State as well as help build healthier communities. Founded in 1993, Community Works is a cooperative fundraising effort of area non-profits which participate in workplace giving campaigns. Community Works reflects the changing face of community needs and gives public, private and non-profit sector employers and employees the ability to expand their giving choices. Including Community Works in workplace annual giving campaigns gives employees increased options for giving. Increasing the charitable options brings more people into the workplace combined campaign and, in turn, builds a workforce which shares common goals. To strengthen the capacity of nonprofit organizations through collaboration designed to enhance workplace charitable giving in New York State. 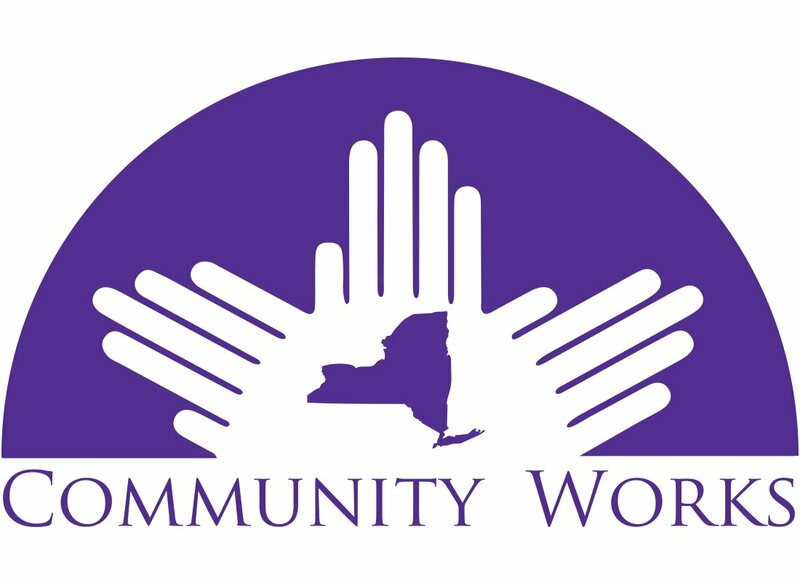 Community Works of NYS, Inc., PO Box 161, Latham, NY 12110-0161.